Mesh bags with drawstring for ultimate convenience. Customers can pack their bags, scan them at the register, wash them under the faucet and stow them in the fridge without ever removing the produce from the bag. Bags are machine washable for easy cleaning and extra durable and portable. 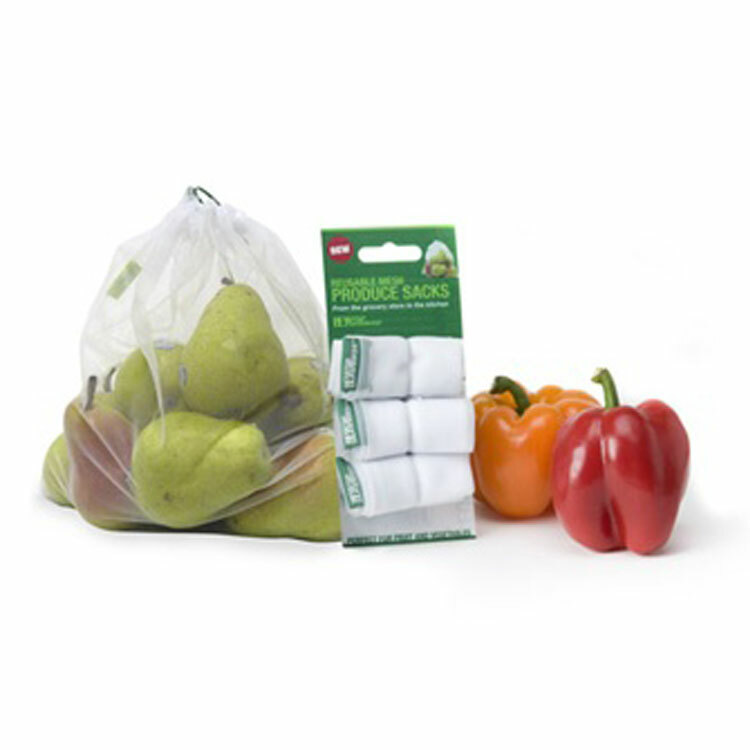 Earthwise brand Mesh Produce Bags are BPA free. Our products are tested and evaluated for toxicity and safety and comply with applicable quality and safety regulations. Three mesh bags in each pack.